Truth Project is a social experiment that shows what the world thinks of truth one person at a time. It was launched by Innomind.org in April 2004 with a quest to discover the contrasts in how people perceive truth. What is the truth? And why is everyone searching for it? Why is the truth painful, at times? This international project portrays the views of thousands of people around the world, who were spontaneously approached and asked a simple question, “What is the Truth to you?”. 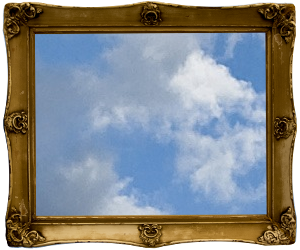 They held a picture frame, as if in a portrait, and spoke their inner truths. The project began in New York City followed by Holland, Belgium, Germany, Russia, Italy, France, Spain, Britain, Israel, Egypt, over forty five US States, Canada, Azerbaijan, Poland, Ukraine, Romania, Turkey, Georgia Republic, Bulgaria, Serbia, Hungary, Austria, Czech Republic, Lithuania, Latvia, Estonia, Finland, Sweden, Norway, Denmark, China, Korea, Japan, Ireland, Kazakhstan, Kyrgyzstan. As time goes by, more countries are visited year after year.